I know most days, I reach for my tried-and-true black tea, but sometimes I need to take a break from all that robust flavor and caffeine. 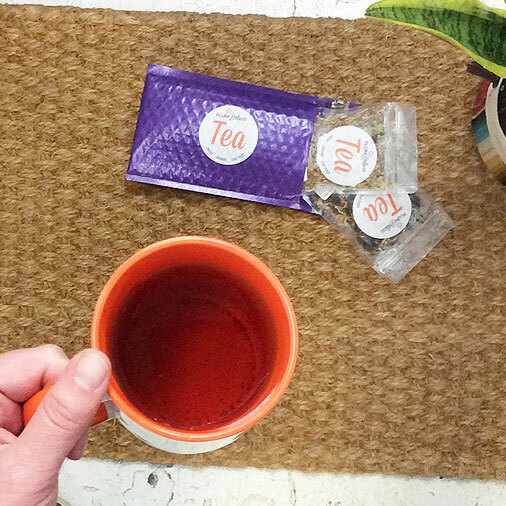 The lush flavors of green tea are just the right alternative. Green tea can be in loose leaf form, ground into powder, or even rolled into little tea pellets. Learn more about green tea in our article, Green Tea 101. But with all these choices, how do you decide what to mix with green tea? I hope my suggestions below can give you some brilliant ideas. The right temperature water is critical — green tea can be especially sensitive to steep times and water temperature. Too hot and too long, the leaves get scalded by the water and bring out a bitter taste. If you drink quite a bit of tea on a regular basis, I recommend getting an electric kettle with variable temperature controls. Just press a button or set a meter, and you can brew easy knowing that your green tea leaves are getting the right temperature of water. If you won’t be using a high-tech tea kettle anytime soon, you can get close to the right temperature simply using boiling water and two empty mugs from your cupboard. Step 1: Bring your water to boil. Step 2: Pour the boiling water into an empty, room temperature mug. Step 3: Pour the water from mug #1 into another empty, room temperature mug. 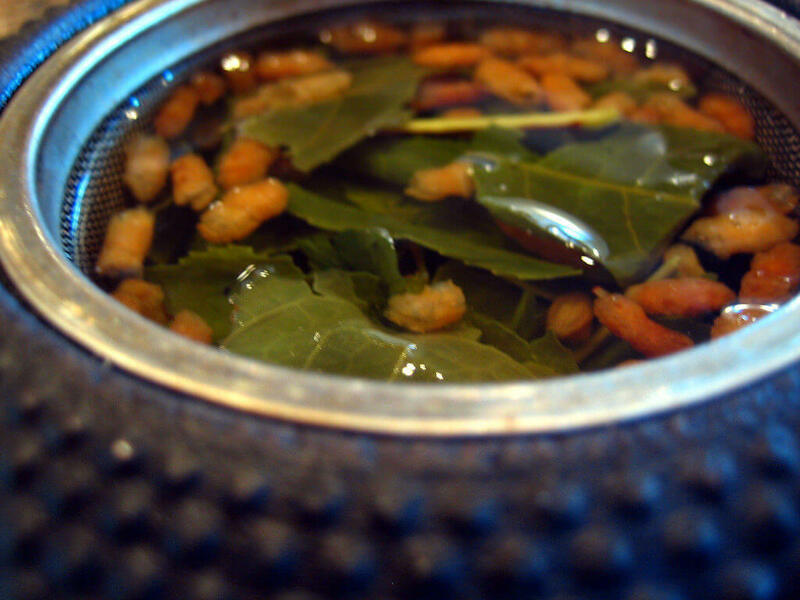 Step 4: Pour the water back into mug #1 and add your tea leaves. This system works because as the water transfers its heat into the mugs, it drops about 10 degrees per vessel. By the time it ends up back into that first mug, the water won’t scald your gentle tea leaves. Don’t forget to keep an eye on how long you keep the leaves in the water to avoid a harsh brew. 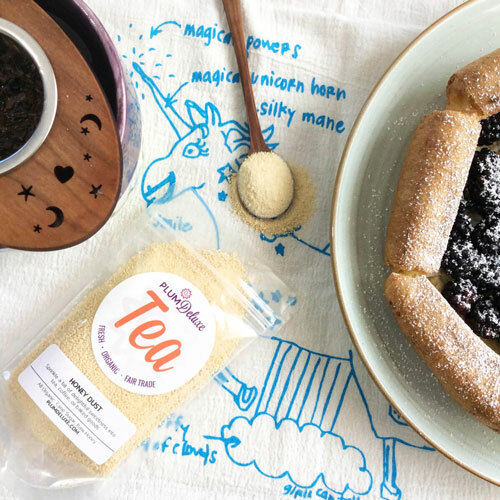 Sweeteners can be just the right thing to mix with green tea. If you find the grassy tone of green tea to be too strong on its own, add something sweet to the mix. When I brew loose leaf green teas, I prefer honey, which adds a more natural sweetness to compliment the herbal and vegetal tones of the tea itself. Find your own favorite sweetener by learning more about the varieties available and how they pair with different types of tea. Mix green tea with milk and make yourself a green tea latte. There’s a reason you can get green tea lattes at most coffee shops — they taste great! 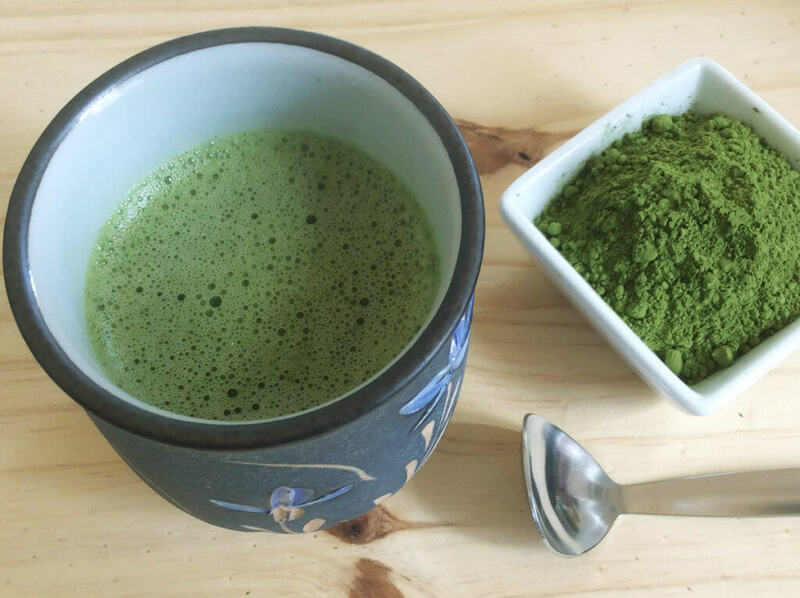 Most green tea lattes are made with powdered tencha green tea, known as matcha. Sweetened or unsweetened, the green tea adds a pop of nutty flavor to go with the creaminess of the milk and the smooth, frothy texture. Both the milk and the green tea are gentle enough that you won’t miss any delicate flavors from either ingredient. I prefer almond milk; the natural toasted nut flavor pairs better with the green tea than plain milk alone. Luckily, in this day and age, there’s a range of milk options. Black tea and lemonade have been a match made in heaven for ages, made popular by golfer Arnold Palmer (the drink even bears his name). But green tea and lemonade might be an even better pairing. 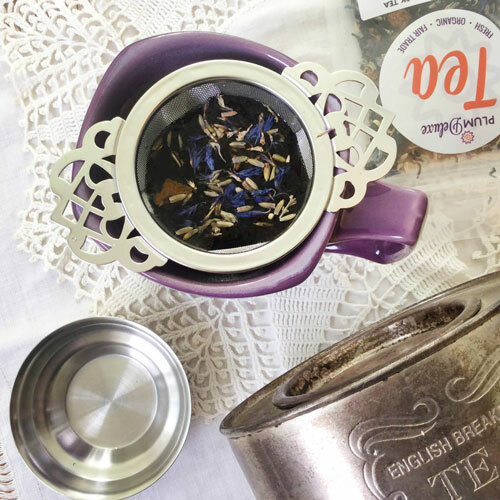 The tea adds depth with its gentle, grassy earthiness to balance the tart sweetness of the juicy lemonade. Kick your green tea lemonade up a notch and blend in other fruit juices for a tropical twist, or even go as far as adding green tea to your fruity smoothies. Mix mint with green tea — specifically, Gunpowder green tea. This tea gets its name from the rolled pellet shapes of the leaves, and the hint of smokiness in the brewed flavor. The tea puts on a show: be sure to watch the leaves slowly unfurl as they brew. If you don’t have Gunpowder tea, don’t worry; any green tea pairs nicely with mint, including our passionfruit Sencha. 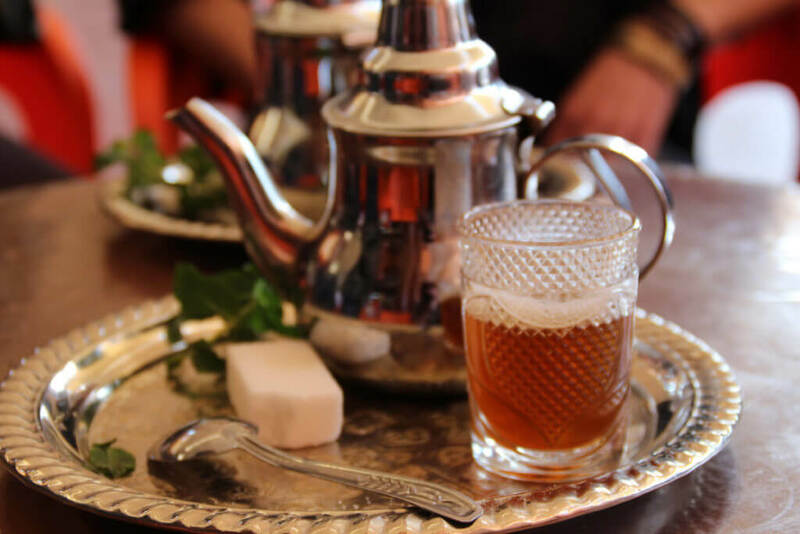 The blend of fresh spearmint and green tea has been brewed for centuries in northwest Africa, and is famously known as Moroccan mint tea. This tea has been prepared and served as part of historic hospitality gestures, and is still brewed across the world today. Served very sweet, mint green tea can be enjoyed hot or iced, though I strongly prefer it iced. Serving this tea over ice, with a sprig of fresh mint, cools me down at my core and plays so well with the grassy notes of the green tea. What to mix in green tea? What about puffed rice! Sounds crazy, right? Green tea with toasted puffed rice is called genmai cha, and it can be a truly unique cup of tea, best experienced warm for the bready, brothy, almost savory flavors of the brew. I find genmai cha supremely comforting, warming me up inside and out. 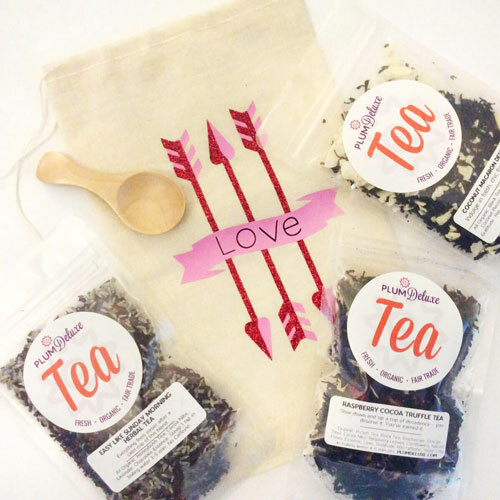 Because it has a lower caffeine level, it is my favorite evening alternative to all the flavored black teas and pumpkin spice during the chillier seasons. If you’ve come to like the taste of green tea on its own, maybe the best thing to mix with you green tea is a traditional tea ceremony. Mix matcha in a specialized bowl and whisk for a unique, meditative tea experience. The art of using a whisk and bowl takes a little bit of practice, and I recommend taking a look at one of the many videos online to help you get started. My personal tip would be to move your whisk in a “W” pattern across the liquid, holding your whisk high enough so that you aren’t scraping the bottom of the bowl. You want to move fast enough and long enough to let the froth build up on the tea. After you’ve made a bowl of matcha just right, it’s easier to get a feel for mixing it right again in the future. When making matcha in the traditional way, I recommend using a high grade of matcha meant for this traditional purpose. The higher the grade, the more the flavors of the matcha will be nuanced and subtle; they all have their own personalities, ranging from savory, kelp-like notes to buttery, creamy flavors or to naturally sweet fruity and floral. 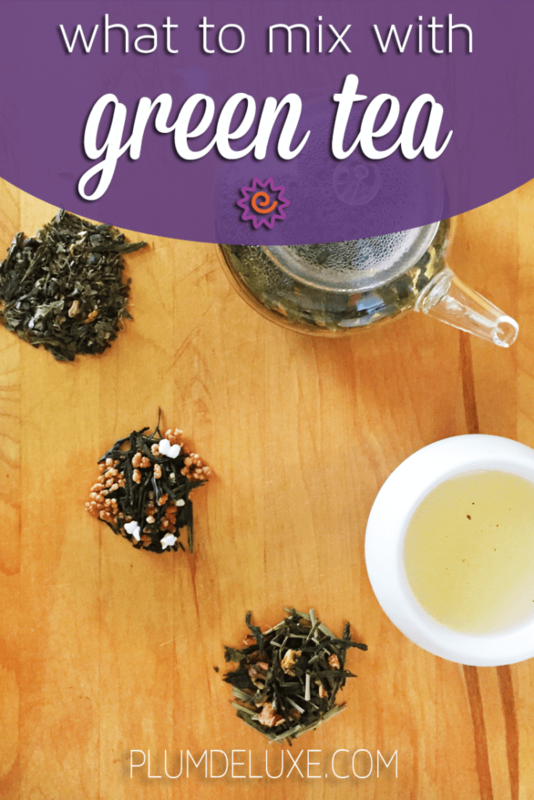 Whether you’re new to green tea or just looking for ways to spice up your usual brews, there are always a variety of new ideas about what to mix with green tea.